This is a beautiful rounded edge sterling silver bangle bracelet. From my best interpretation of it's English hallmarks, the bracelet is from Chester, England and circa 1948. 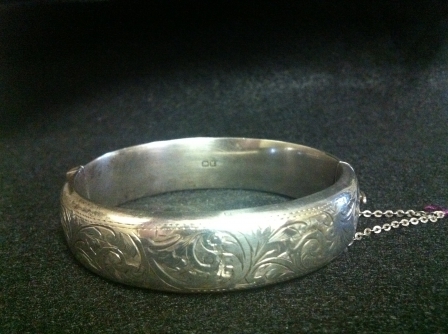 It has a guard chain and beautiful design on the top side of the bangle.